OK, I'll admit it, I've been a bit depressed ever since Dec. 22 over the sad news of the assassination of Benazir Bhutto, the former Prime Minister of Pakistan. She was one courageous and elegant woman and I have often admired her from afar. I received an e-mail last week from my good friend and college buddy, Ken ("Kimbo") Joseph, who now lives in Tokyo but spends much of his time (as an Assyrian Christian) in Baghdad, trying to help Assyrian Christians in Iraq. As you can imagine, this isn't an easy task that he has taken on. I love and admire Kimbo, not least of all for his courageous acceptance of great danger to do what God has called him to do. Knowing Kimbo these past 30 years, it was no big surprise to me to learn he was a personal acquaintance of Ms. Bhutto's. He is one chap who seems to know everyone. "I first met Benazir Bhutto about two years ago. I was amazed at her courage. Being in Iraq and seeing the way women are treated in [that part of the] world, it was a breath of fresh air to be with a woman so educated, so eloquent, and most of all -- so courageous. She was also very funny because she towered over all comers with her impeccable speach, knowledge and "aura." As I watched the coverage of her sudden and sad death, I was immediately reminded of another courageous leader who shared the same fearlessness in the face of evil. I was with Anwar Sadat along with the late Harald Bredesen at his place along the Suez Canal in Ismalia. He said, "Look at all these advisors! They are all telling me to be more careful, to wear a bulletproof vest, to not go out to my people anymore. 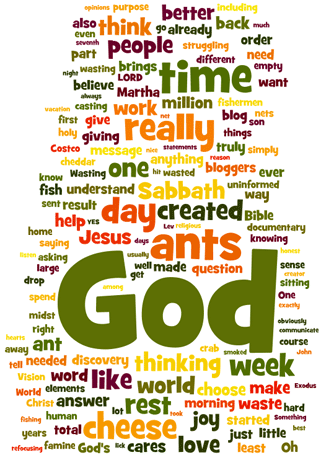 This is what I tell them: God has given me a mission. Until that mission is completed nothing can hurt me. When my mission is completed nothing will be able to protect me." I will never forget the image of him standing up as the shooting began, realing that his time had come and that he must face it with courage. In the days ahead, the life of Bhutto will be analyzed and evaluated. Just as with Anwar Sadat's death, hers will no doubt have tragic consequences for the whole of the Muslim world. For the world to have to face this same evil of brutality and violence, over and over again, demonstrates where true cowardice and true courage lies. Unable to face the truth, the evil that expresses its hatred toward people like Sadat and Bhutto does the only thing it can do -- it kills and maims, slaughters and tries to intimidate. What is happening in the Muslim world today is truly a direct and present threat to all who value freedom, the rule of law and justice. This face of intimidation shows an evil side to these Islamic fundamentalists. Apparently they cannot fight the battle effectively in the arena of ideas, in the arena of morality, or even in the ability to demonstrate a capacity for peace and stability. They can only move their agenda forward on a river of blood. There is only one thing that can, and has, stopped this kind evil ... it is the triumph of good. 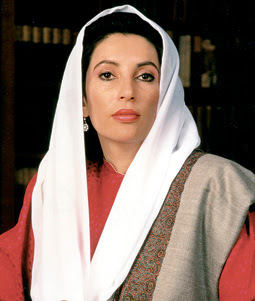 Benazir represented all that these evil men hate -- a woman, strong, eloquent and beautiful! The answer to the tragedy of her death is for a new generation of leaders to stand up for truth ... in particular young women ... and to speak it to power. It is faith, and faith alone, that will present and protect the truth that these evil Islamic fundamentalists cannot stand against. In a day in which most of us, without realizing it, have come to deny that there is real evil in the world, Bhutto's death should remind us that in spite of our advances in technology, medicine, and international politics, there still remains evil. The first step in destroying it is to realize that it exists, and to stand up against it with faith. Jesus was our good example in this regard. Remember how He walked into the Temple where evil was going on? What did he do? He very simply, quietly and courageously turned over the stalls of the moneychangers and shamed them with the truth. It was the beginning of their end." This story reminds me a joke that my brother likes to tell. The punch line would go something like this. As we stand in the courtyard of the Vatican we overhear someone say: "That's Kimbo, but who's the guy in the funny hat standing next to him?" I remember when we had an important vote in student government and needed Kimbo for some reason. Nobody could find him and nobody knew where he was. Turns out he was in Egypt with the deposed Shah of Iran. He does get around. Yes, Kimbo amazes me constantly. Someday I would love to write a book about him.